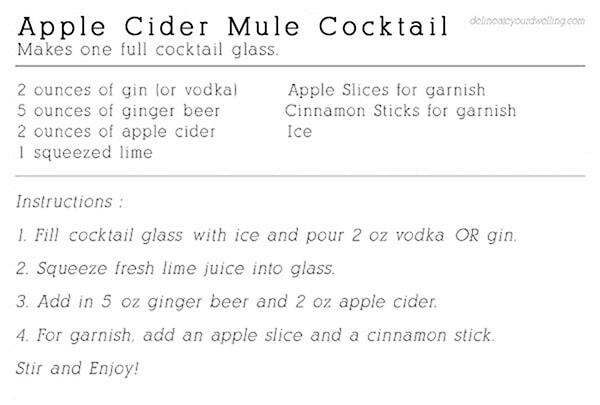 I was first introduced to Moscow Mules over the Christmas holiday in 2014 and ever since have been a pretty die hard fan. I often whip up Cucumber Mint Moscow Mules in the warmer months and absolutely love them for their refreshing flavor. 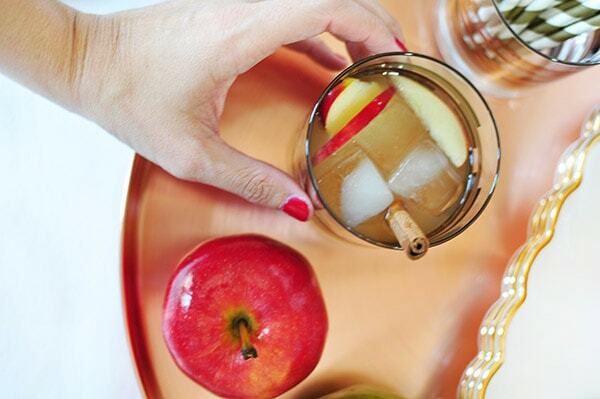 This fall however, I wanted to put a seasonal twist on the mule and friends – it’s made me the happiest fall lady. 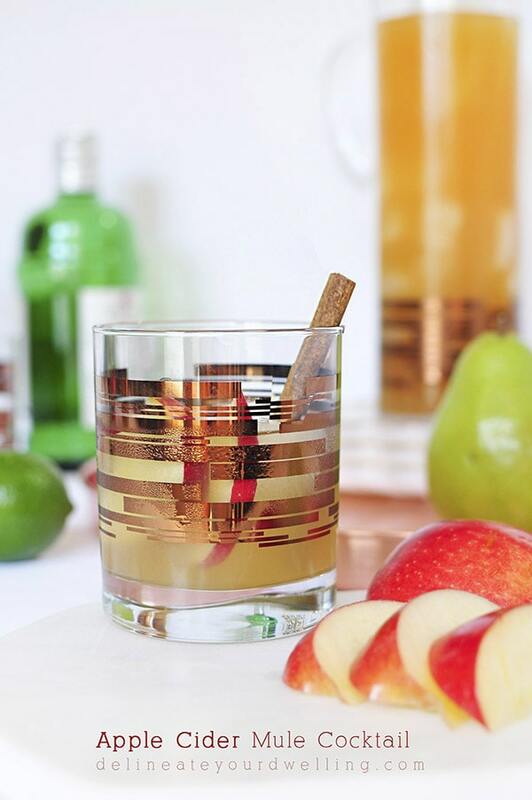 Today, I am sharing the Perfect Fall Apple Cider Mule with Copper Barware. To start this delicious drink, fill a cocktail glass with ice. 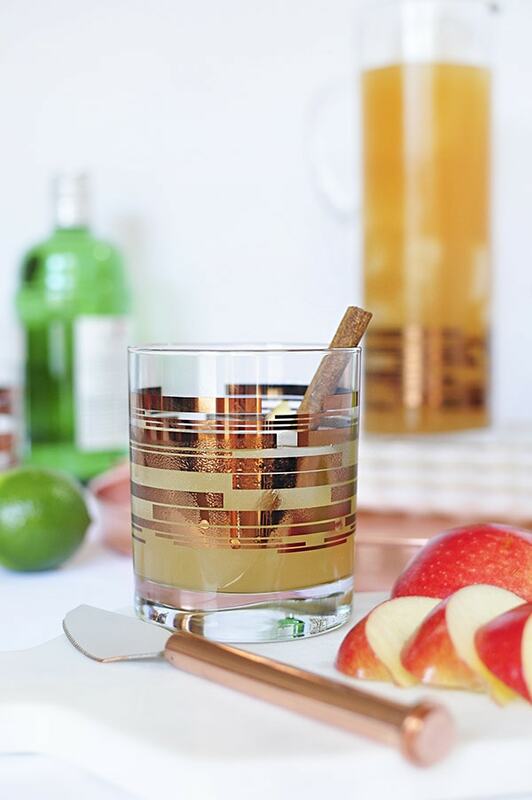 I am head over heels smitten with my new set of Macy’s Martha Stewart Copper Barware. The bar tools are made to be on display and I was so happy with the quality in weight of each of them. 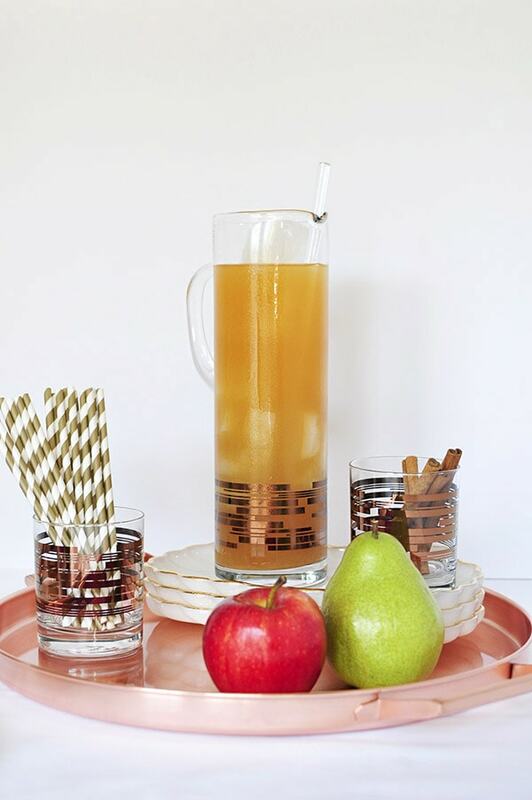 The set of four cocktail glasses give off a hint of fall weather with their perfectly fall copper colored pattern. After the ice, next up is the lime. Some people will tell you to just add a few squirts, but not me. It doesn’t feel like a Mule without a full amount of one lime. Now, I am a huge fan of this Citrus Squeeze. 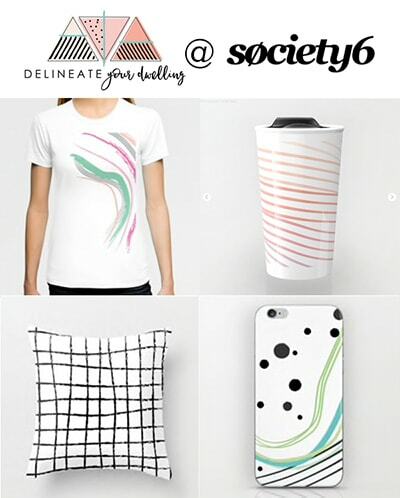 I use mine all the time and I love that you can wash in the dishwasher, too. Next, add in the ginger beer and apple cider! 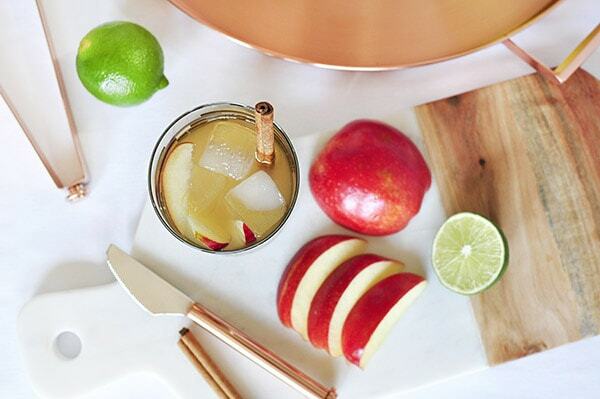 And finally, you can add in an apple slice or a cinnamon stick for garnish. 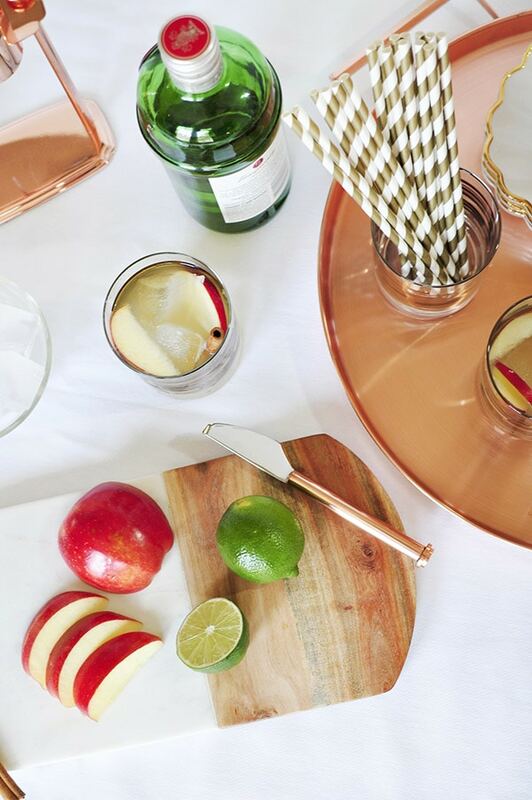 Display the drinks and all the yummy ingredients on this gorgeous Copper Tray and bring out to your guests! 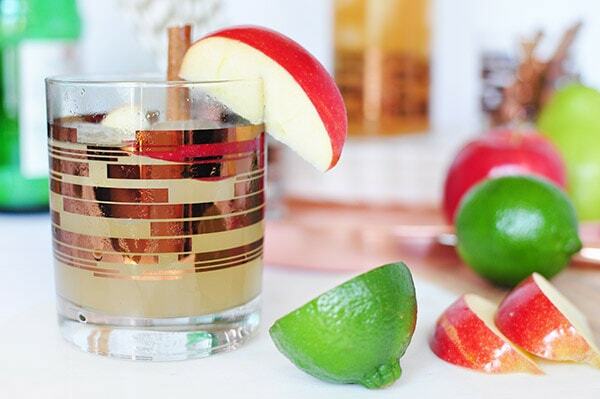 You are now set to enjoy a lovely Fall Apple Cider Mule cocktail! 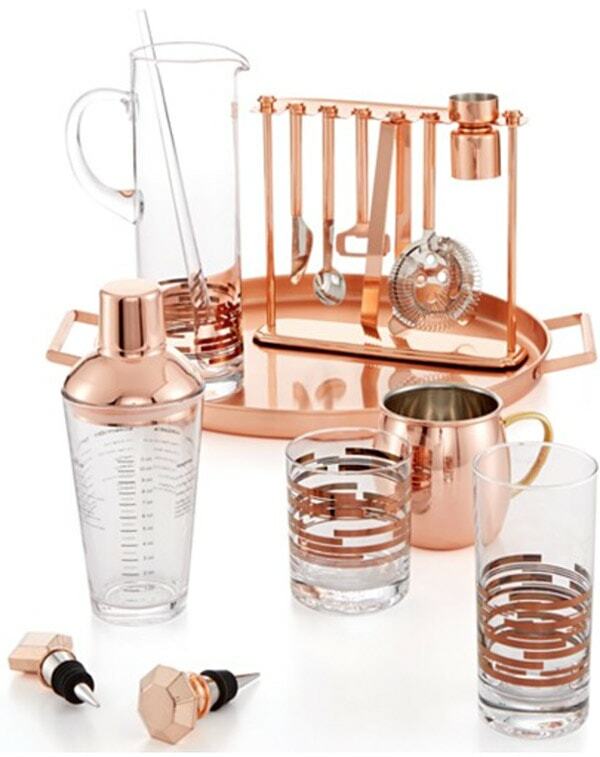 If you are looking for the most lovely entertaining barware set, I’ve been nothing short of thrilled with this gorgeous Copper set from Macy’s. 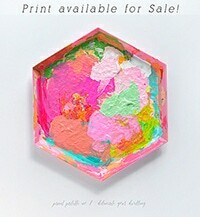 Thank you to Martha Stewart for providing product for this post. It would have been on my Christmas Wishlist regardless! All opinions are 100% mine. It really is quite delish!! 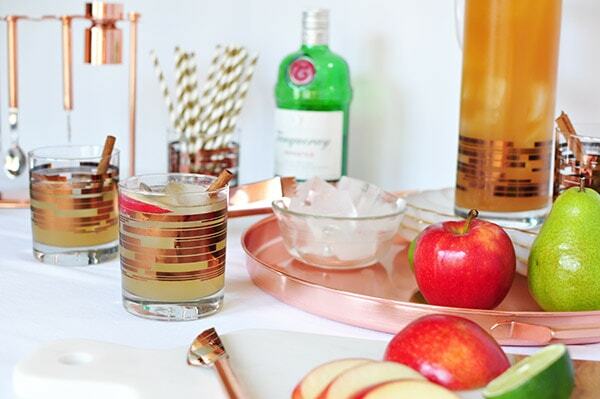 This sounds delicious, and I’m swooning over all that copper!! Isn’t that copper just devine! Believe me, it’s so delish! 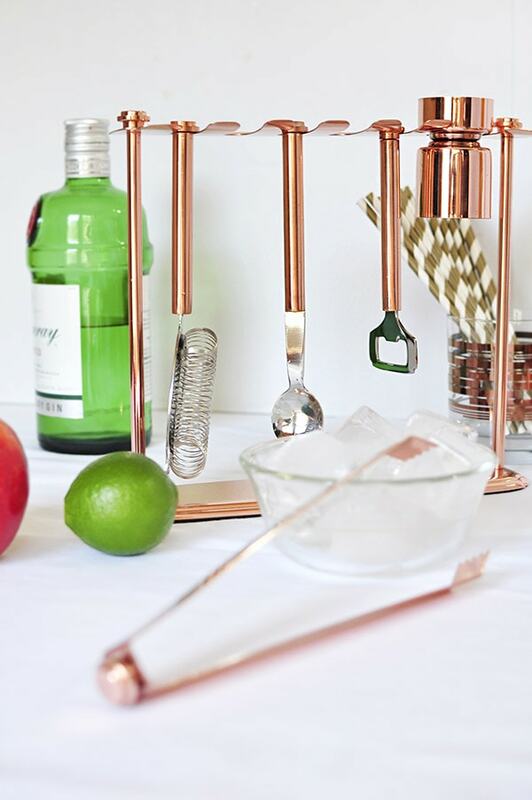 And you should put the copper bar set on your wishlist! !